Hokum! is the first book to take a comprehensive view of short-subject slapstick comedy in the early sound era. 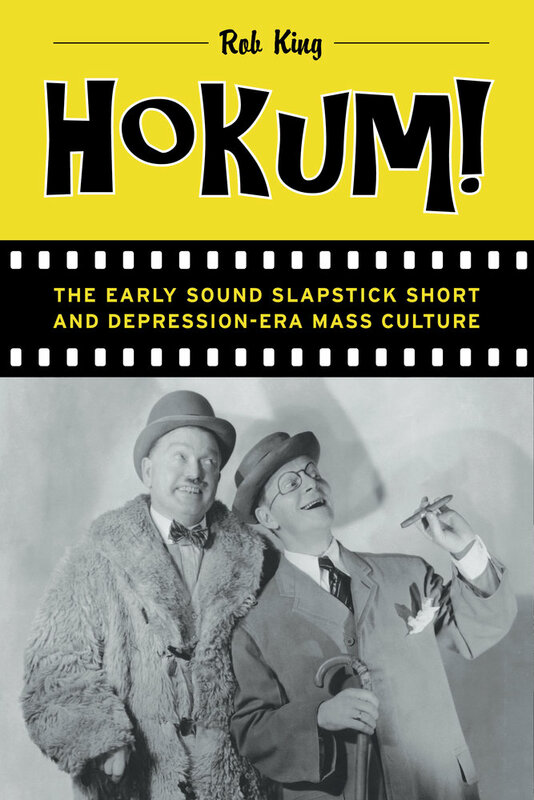 Challenging the received wisdom that sound destroyed the slapstick tradition, author Rob King explores the slapstick short’s Depression-era development against a backdrop of changes in film industry practice, comedic tastes, and moviegoing culture. Each chapter is grounded in case studies of comedians and comic teams, including the Three Stooges, Laurel and Hardy, and Robert Benchley. The book also examines how the past legacy of silent-era slapstick was subsequently reimagined as part of a nostalgic mythology of Hollywood’s youth.